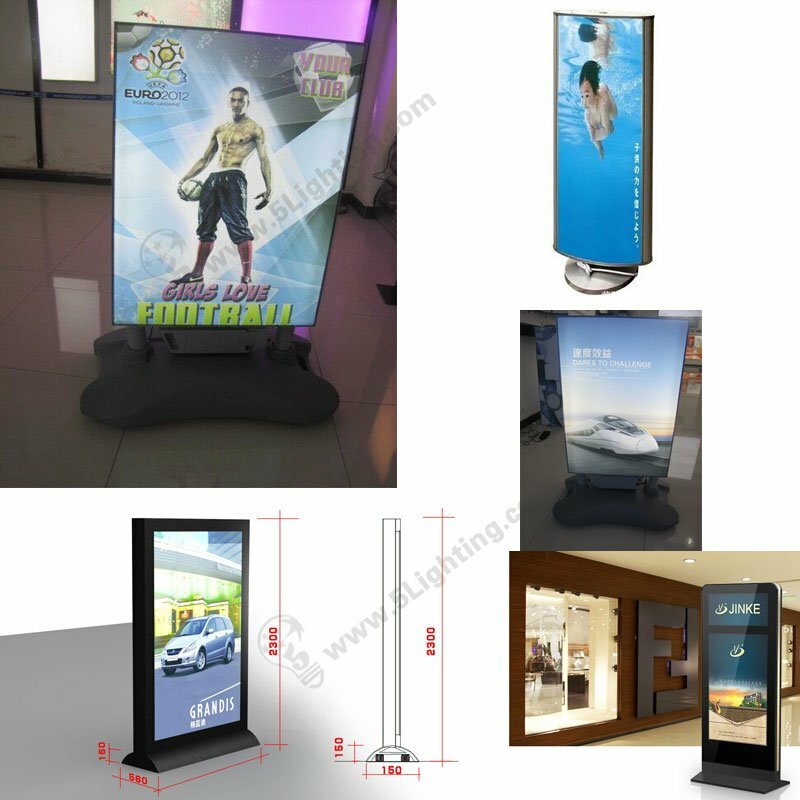 As for new fashionable frameless SEG light boxes, can it be standed on floor / ground ? 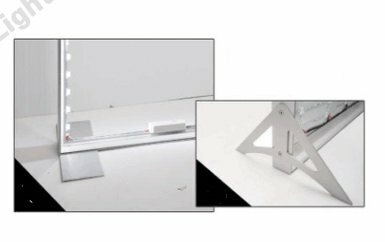 Since the printing graphitc is snapped into aluminum frame grooves , it’s frameless and seamless after quick installation . Usually it’s mounted on wall or hanging from ceiling, now we release special bracket and feet to meet some customer’s requirements . One is flat plat feet, the other is tri-angle feet . 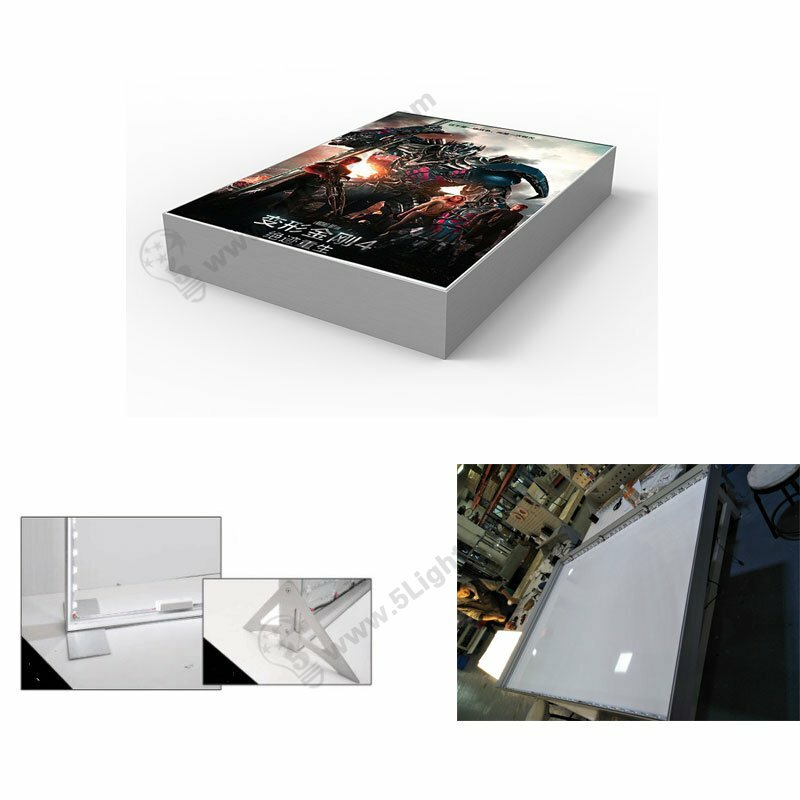 Free standing on floor with our feet and bracket can be applied for both single / double sided SEG light boxes whole series . 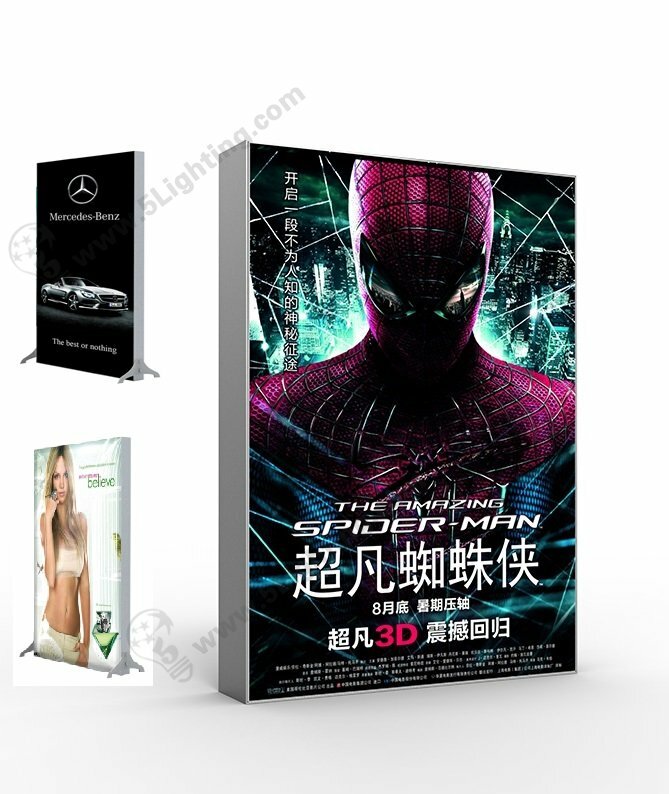 Our trendy SEG light boxes with standing feet can grape your audience’s attention .